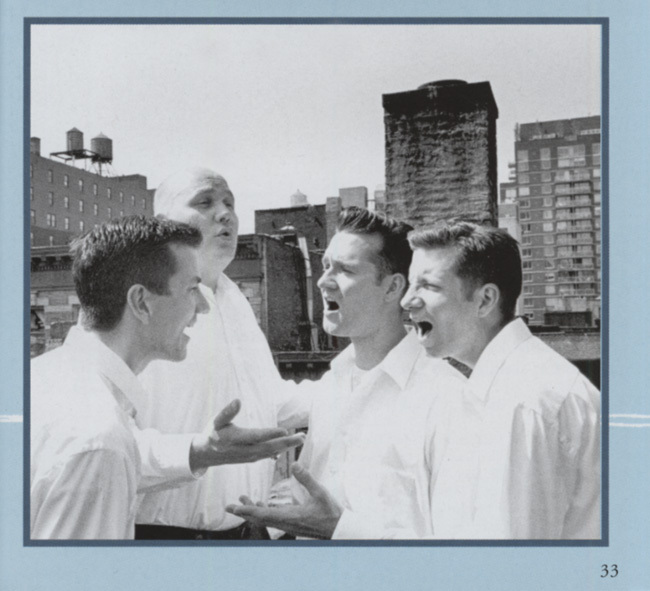 1-CD-Album DigiPac with 36-page booklet, 16 tracks, playing time 45:05 mns. Music from Bielefeld for the world! New English language album. Fabulous harmonies and world class vocals. 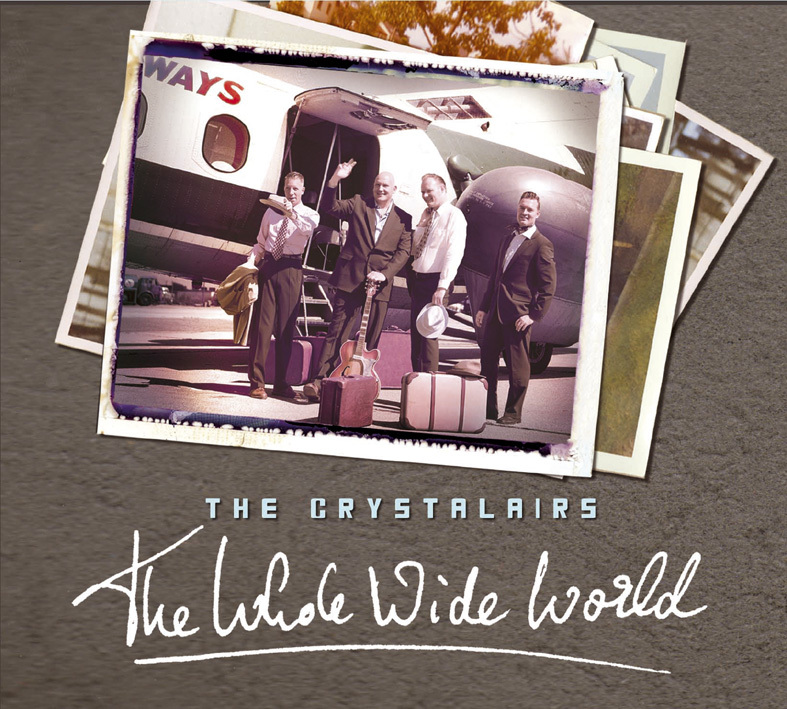 The Crystalairs' unique style of rock 'n' roll, country, vocal group harmony and even pop from the 1950s and '60s has blessed them with a world wide fan community and a career spanning more than 10 years. 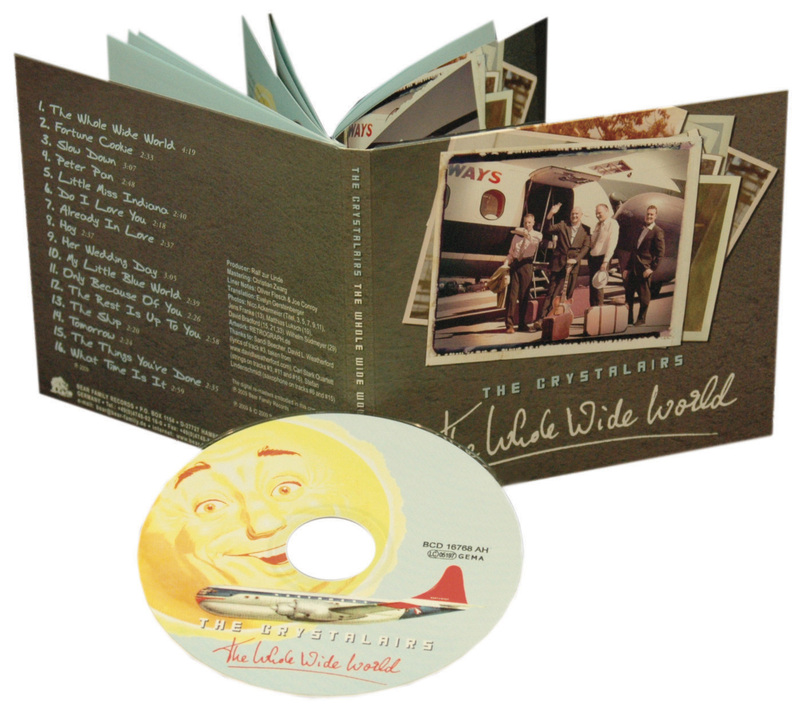 Their doo wop from Bielefeld has become a trademark that will now earn them an even bigger audience with this brand new CD. Even in America - the home of doo wop - the Crystalairs are highly respected. And now, after recording an album in German, they have released another CD in English. It's their eighth album, and because their previous album 'Die ganze Welt' was so successful, the Crystalairs decided to make English translations of some of their songs for The Whole Wide World - in addition to new titles. The group's vocal skills are brilliant, and their song writing potential reveals itself in their multilayered compositions. 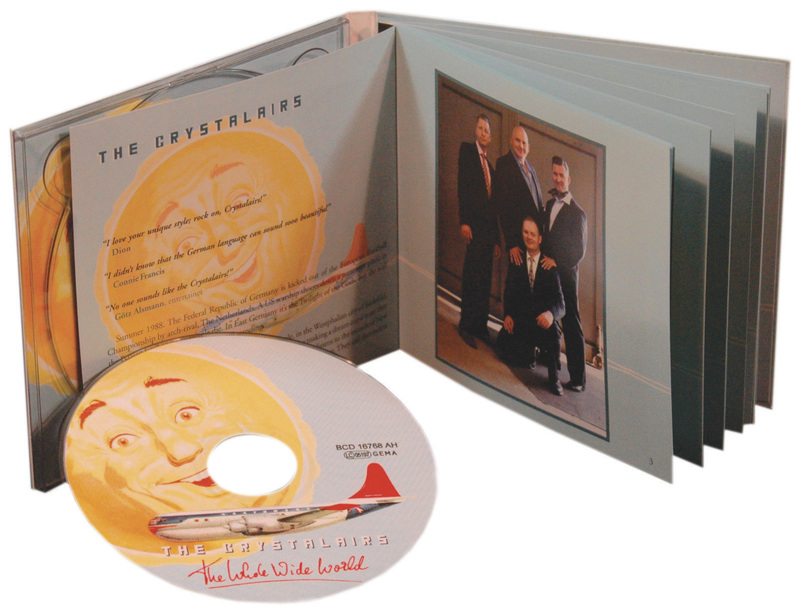 The Crystalairs are known for creatively arranged material that evokes feelings without sentimentality. And their interlocking voices are true vocal perfection. They are in category of one! 'The Whole Wide World' is the latest step for an ensemble that is still looking for new lands to conquer but no longer feels the need to prove anything. What happens in two prospective high-school graduates in 1988 who don't fit into the classrooms covered with Wham! and Kylie Minogue posters? Who feel like they're moving in the fifties and sixties while their classmates bathe in the drum computer waves of the eighties? Who are unconsciously addicted to doo-wop and are annoyed that suddenly the'Dirty Dancing'-cult is spreading and every second suddenly feels Stay and In The Still Of The Night is good? A real romper could not approve of this, for it was transient fashion, not a true vocation. You can't imagine it when you see recent photos, but Ralf zur Linde and Claus-Peter Niem were such role models. "That's how authentic I've been walking around since I was 12, 13. Claus as well. We were something like the two'Elvisse' at school, and we didn't want to take it off. They literally bathed in this image and also enjoyed this outsider role. "Nobody else was walking around like that." The term'Retro' was not yet an official part of German vocabulary - it applied to Ralf zur Linde and Claus-Peter Niem. At the age of 13 Ralf is infected by a Beach Boys record given to him by a boy next door, because he doesn't know what to do with it. "I heard the thing up and down. For some reason, I was totally fascinated by the music. I still remember that I could not classify the music because I lacked the basic knowledge, but today it is of course clear to me that it was the complex vocal harmonies. They touched me in the depths of my soul." So the detour to Doo Wop is via surf music. The record collection is being expanded, as far as Bad Wildungen and the surrounding area are concerned. It's not much, though. The rocket launch takes place at the age of 16: four-week student exchange with the USA, Ralf comes to San Francisco, browses through the record shops there, buys of course even more Beach Boys, but also many records of vocal groups, mostly from a label called Crystal Ball. His love is hot, but only now he knows her name: Doo Wop! 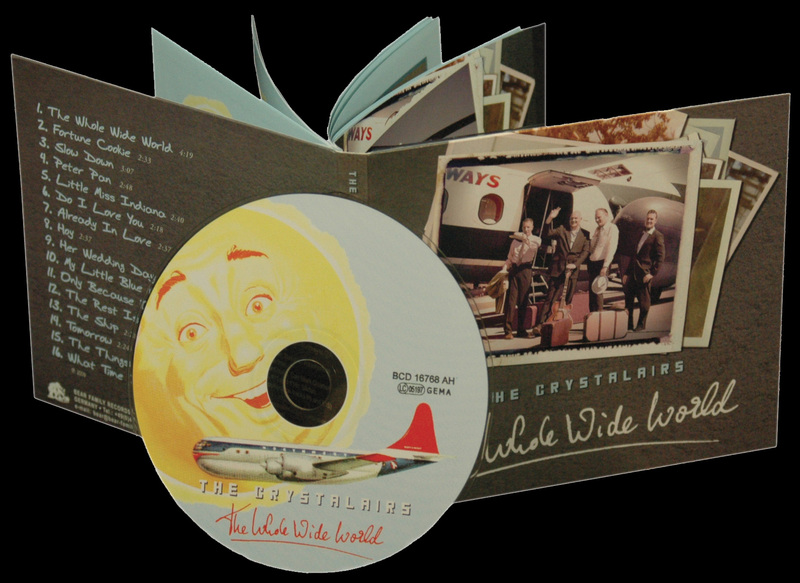 Customer evaluation for "The Whole Wide World"